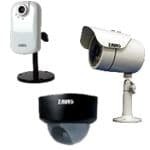 The Zavio CamGraba Surveillance NVR software allows for users to remotely log in through Windows PC's, iPhone, iPad and Android mobile devices. The instructions below will walk you through the process of obtaining your remote IP address and forwarding the correct ports in your router. 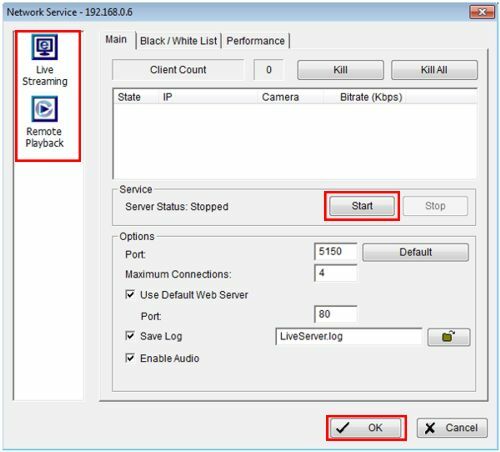 The instructions below explain how to configure your network and setup port forwarding for remote access of the CamGraba software. 4. Now click Live Streaming, followed by Start under the Service section. Then click Remote Playback, followed by Start. Click OK to save the settings. 5. 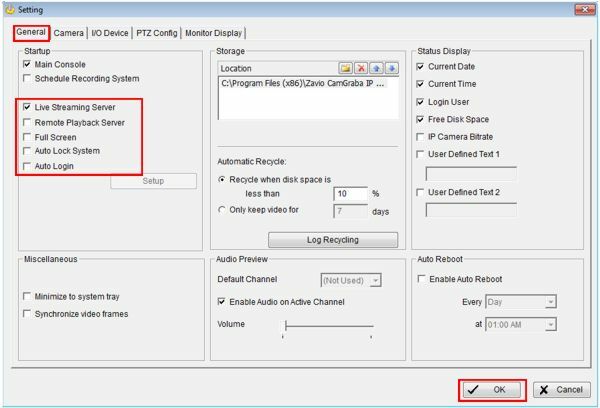 Make sure the Zavio CamGraba PC is connected to a router. 8. Now select your router's brand below for Port Forwarding instructions. In the router, you will need to forward ports 80, 5150 and 5160.